The acquisition of Suez (WCS) UK Water interests and related assets incorporating B&V Water and Sentinel Water means that all circa 172 staff operating nationally, and from the Daventry and Upminster offices, will transfer across to WCS Group. Customers will be seeing the same faces working through local regional teams on sites they know well. Going forward, customers have access to a far larger team, deeper technical knowledge and dedicated sector water professionals. 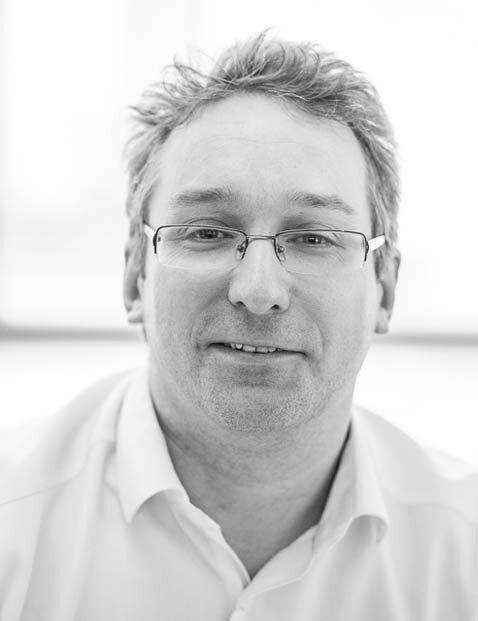 WCS Group’s Water CEO Phil Greenwood said, “Carving out the commercial water treatment and hygiene work from Suez (WCS) UK Water is a great strategic fit for us. This is high quality water treatment and comprehensive water hygiene work. We have highly complementary customers in key markets such as manufacturing, Food & Beverage, Healthcare, Industrial and the important FM market where we act as preferred suppliers of critical water services. The business units we have acquired, share the same ethos – outstanding water treatment, system control improvement for water systems and process management, water lifecycle management, legionella ACoP L8 safety and compliance, training and engineering support. We will be focusing this more closely than ever before in a collaborative strategy with service delivery for customers”. The Own Label chemical manufacturing business will be re-branded as B&V Chemicals and run as a separate, standalone unit with greater independence than ever before. It will continue to supply a full range of water treatment chemicals to resellers. 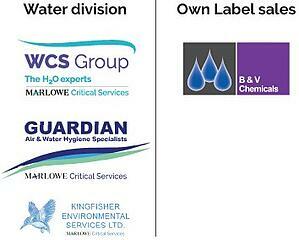 Our water division comprises four brands. We are a critical services specialist focused on just one thing – water. We provide water treatment and control improvement for water systems and process management, water lifecycle management, Legionella safety and control, AcoP L8 compliance, training, remote monitoring, water hygiene services, air hygiene and specialist engineering support. We also blend, manufacture and supply specialist chemicals. We facilitate new and better water treatment and process control improvements, outstanding system risk management and processes to monitor and protect against scale, corrosion and bacteria which can impact plant reliability, performance and running costs over time. We ensure uncompromised compliance with ACoP L8, cooling tower and evaporative condenser regulations, HT04-01, closed heating and chiller system guidelines and swimming pool guidelines, environmental standards including discharge and Regional Protection Zones.